The factors influencing the degradation and biodegradation of polymers used in food packaging, exposed to various environments, are detailed at length. The book covers the medical applications of bio-based polymers, concentrating on controlled drug delivery, temporary prostheses, and scaffolds for tissue engineering. Professor Fink also addresses renewable resources for fabricating biofuels and argues for localized biorefineries, as biomass feedstocks are more efficiently handled locally. 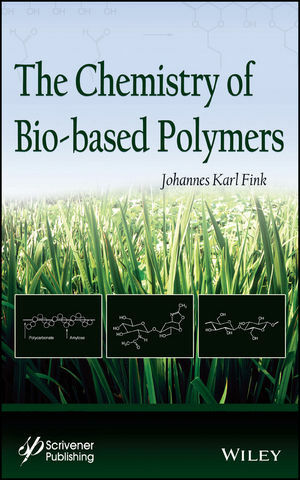 The Chemistry of Bio-based Polymers will be read by chemists, polymer and materials scientists, chemical, bio-based, and biomedical engineers, agricultural and environmental faculty and all those who work in the bioeconomy area. This book will be critical for engineers in a number of industries including food packaging, medical devices, personal care, fuels, auto, and construction.